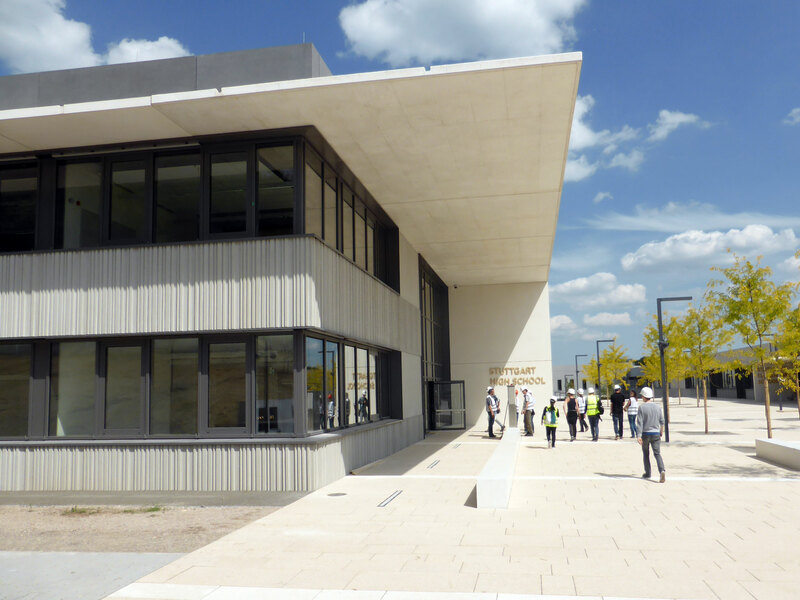 The new school center for the American Military in Böblingen, which opened in Fall 2015, combines an Elementary School and a High School for up to 1,500 students from the metropolitan region of Stuttgart. What makes this project special is the fact that both German and US standards apply to the building complex. Both educational institutions are designed as a band shaped complex with two levels for school and administration spaces. The two buildings are parallel and are aligned in east-west direction. A connection between the buildings houses the central canteen and a large multi-purpose space for each school. Separate gyms complete the space program. An "auditorium" for theater and music events as well as spacious outdoor sports facilities can be used by both schools. 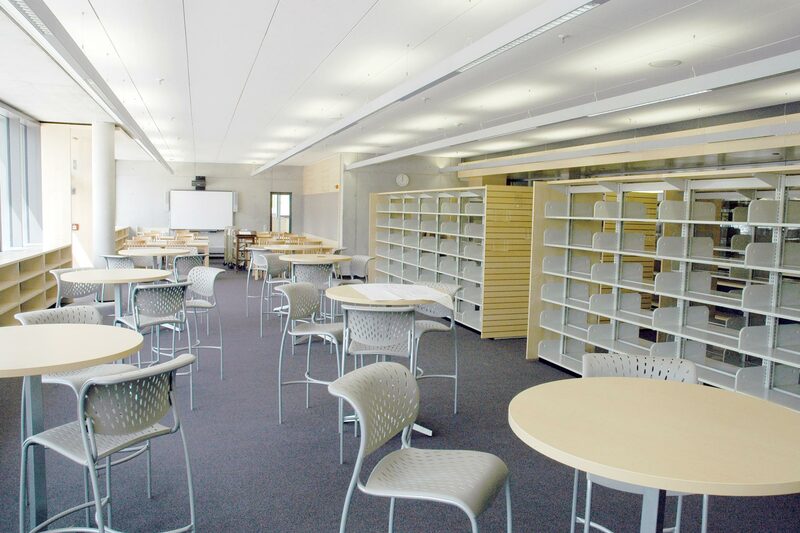 The use of daylight in the classrooms has been optimized through centrally controlled venetian blinds with daylight redirection; the hallways are naturally lit by skylights. 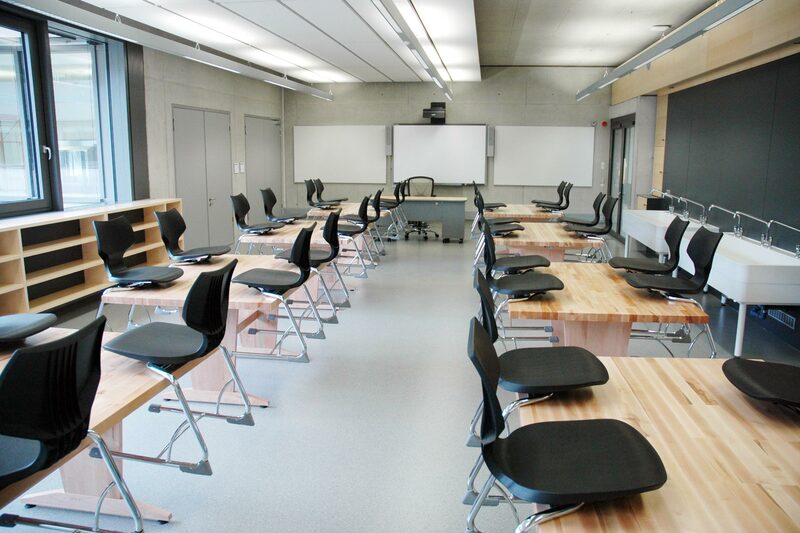 The classrooms are ventilated mechanically by displacement ventilation via openings at the bottom of the cabinet zone, additionally natural ventilation is possible via operable windows. In summer night time air cooling activates the thermal mass of the solid concrete, thus ensuring comfortable room temperatures without additional cooling. 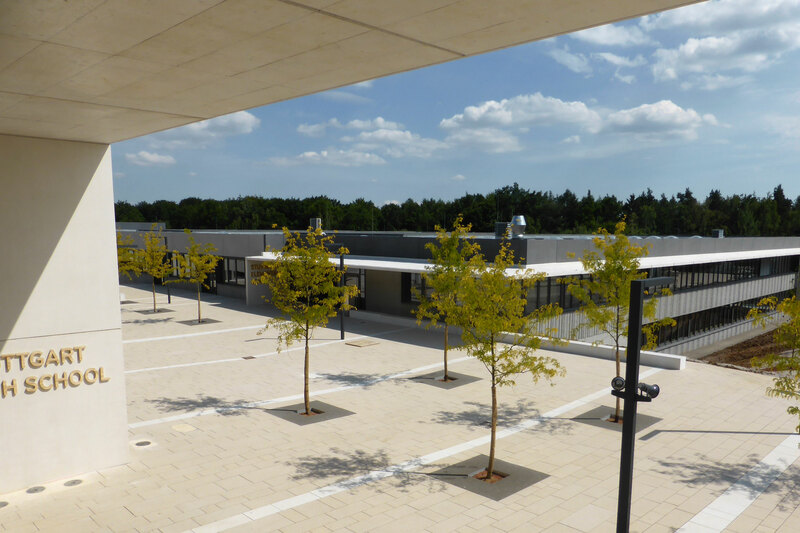 The school center is environmentally friendly supplied with district heating from cogeneration and waste incineration.